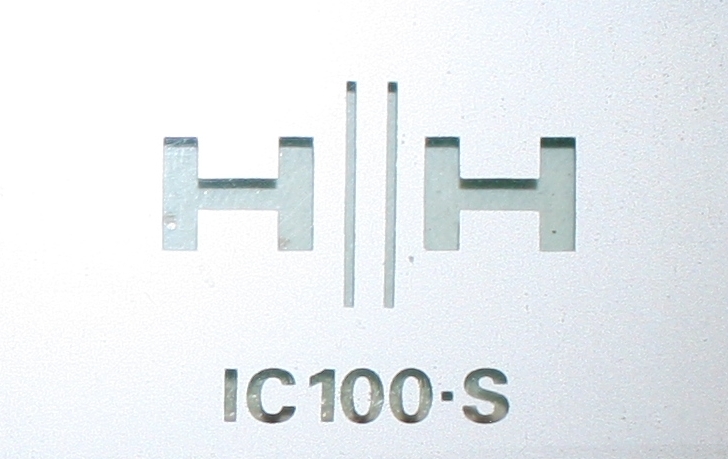 This HH IC 100 came to me with filter capacitors dried up. Simply replaced with high quality modern ones from CPC electronics. 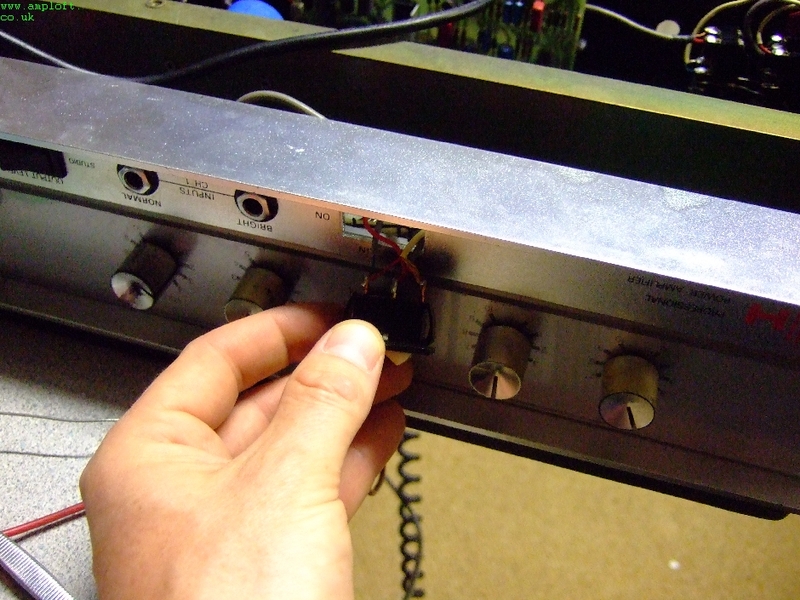 Fortunately they were roughly the same size so I was able to use the existing rivet system for keeping them in place. However solder tags are hard to come by these days and I had to make my own from tinned copper wire wrapped into a loop and soldered onto the PCB mount of the electrolytic capacitor. 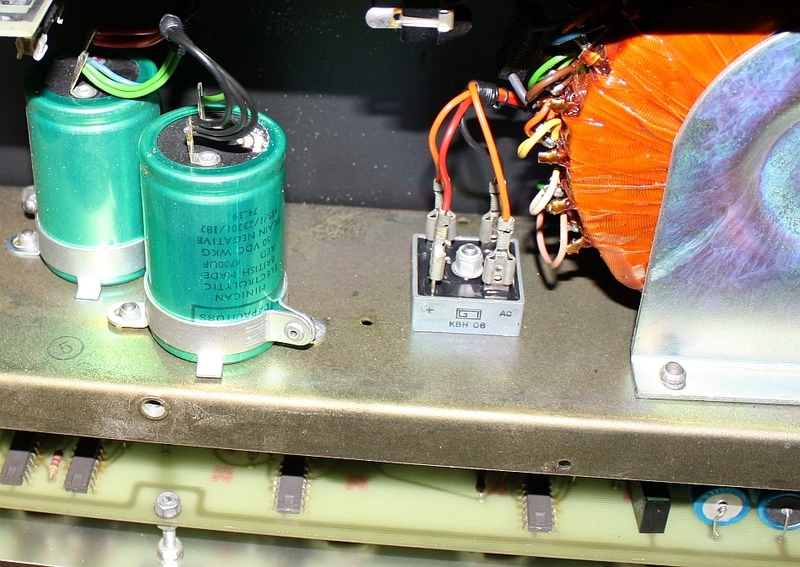 Also found that the smaller filter capacitors that smooth the low voltage (+/-15v) power supply that is used for the pre-amp supply rails had dried up blue paper on them. 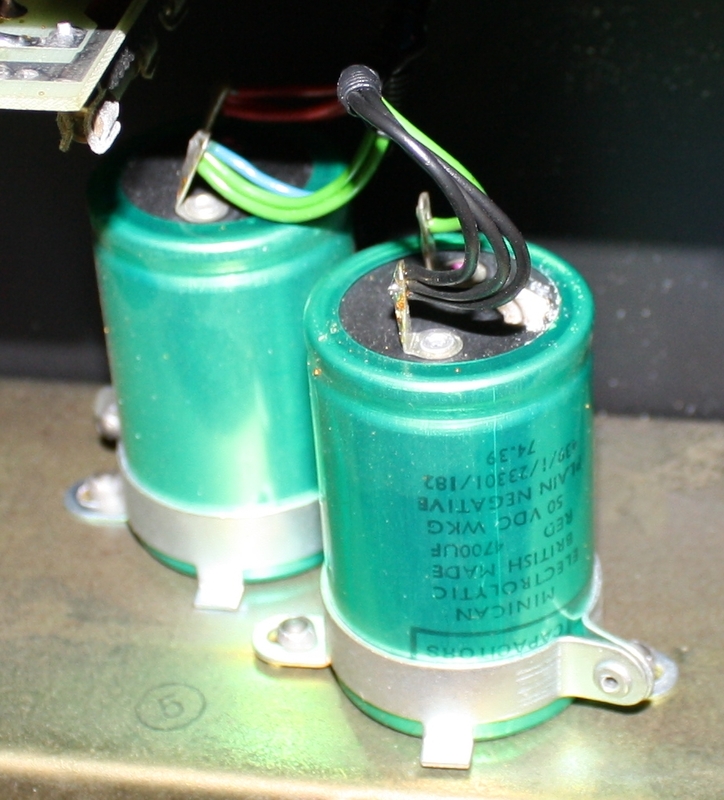 This seems to be a popular problem for this range of amps and maybe caused by the caps being so close the high wattage resistors nearby which run warm. 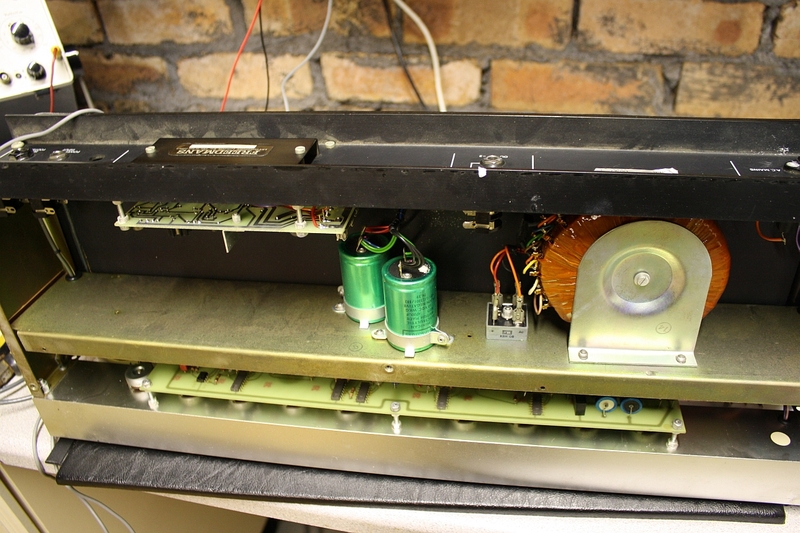 The sound of this amp is not particularly remarkable and in fact seems a little quiet compared with the other HH amps looked at recently. I am not sure what the reputation is with these amps. 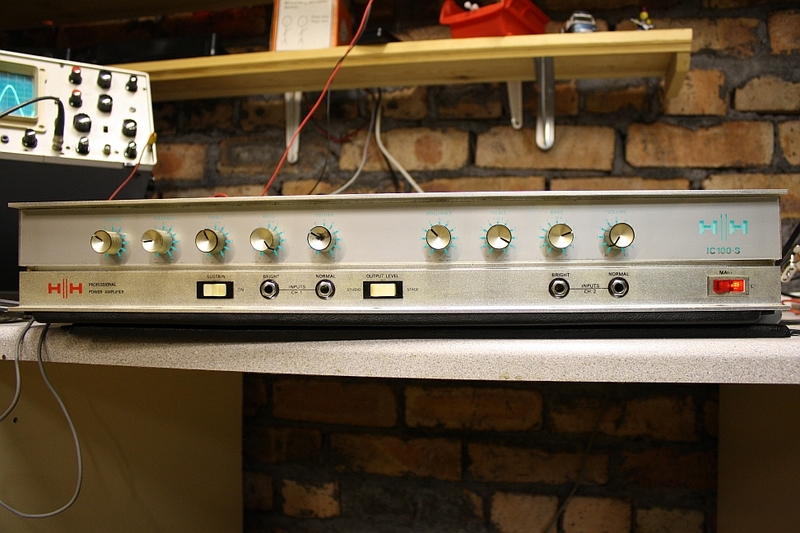 UPDATE: These amps are a little quiet when the switches are old and knackered. They switch the sound between studio and stage volume and the difference is not surprisingly quite a bit. It’s a little lesson really checking each switch out carefully and giving a it a firm wobble to see if there are any bad connections.